Today's (4 April) event in Swindon, attracted up to 250 representatives from agencies which deal with County Lines, Modern Slavery and Human Trafficking. 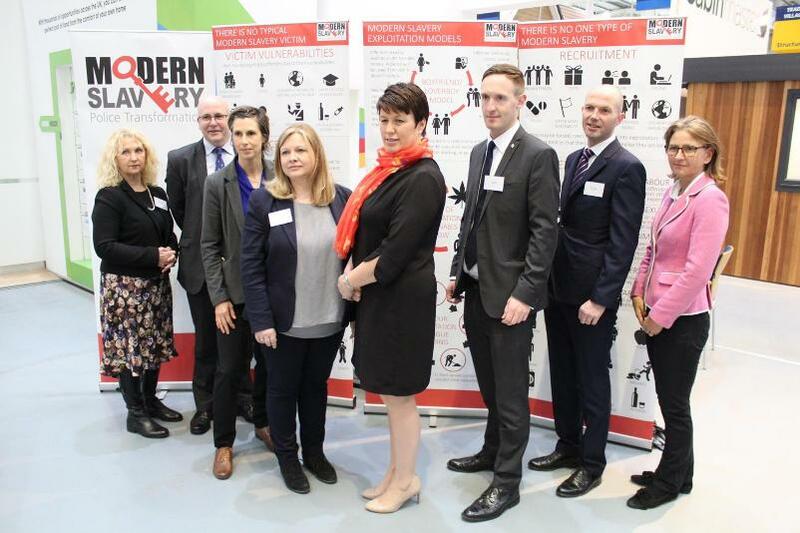 Delegates from more than 50 organisations from across Wiltshire came together under one roof to discuss the issues around drug gangs and modern slavery and how to spot the signs that a vulnerable person is already a victim or becoming one. David Haley, Swindon Borough Council’s Corporate Director for Children’s Services, said: “Keeping our vulnerable children and adults safe is at the forefront of our work so sharing insight and knowledge with our partners on how to spot the early warning signs of County Lines or human trafficking activity is vitally important. “But we must not stop there. It is important this expertise is shared with parents and the family members of vulnerable adults so they too can be vigilant of the signs of exploitation. “This is one of the reasons why the Council launched its Report It Don’t Ignore It campaign with Wiltshire Police. It encourages all Swindon residents to report child abuse or exploitation if they suspect it is happening. We want residents to trust their instincts and, if they feel something is not right, they should not hesitate to contact us. Detective Superintendent Jeremy Carter, Force Lead for Modern Slavery, said: “I am in no doubt that the knowledge shared from today’s conference will help shape the future of how we all work together to combat county lines and modern slavery. “This isn’t an issue that can just be ignored or will just go away - it’s vital that we listen and take on board the views and concerns of each agency and come up with the best response to educate, act and protect the most vulnerable in society from harm. “Tackling modern slavery remains a top priority for Wiltshire Police and I am pleased to say that we have seen a 47 per cent increase in intelligence reports on the previous year. This is a great first step but the public, local authorities and our own officers and staff must keep reporting any concerns and continue to be aware of the signs and symptoms associated with this abhorrent crime. “Together as a community we can eradicate slavery and trafficking in Wiltshire, and reduce the exploitation of the most vulnerable people.